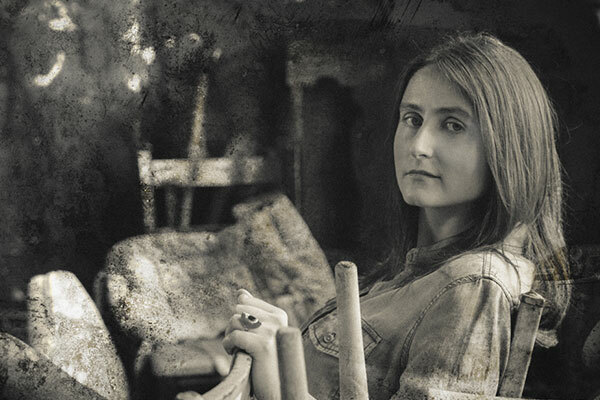 When Erin Enderlin writes a song, more is born than melody and rhyme. Women and men leap from her music, as fully formed and real as we are, all blood and sweat, living, loving, killing, and dying. Produced by Jamey Johnson and Jim “Moose” Brown and featuring Chris Stapleton, Randy Houser, Ricky Skaggs, Jon Randall, and more, Enderlin’s highly anticipated sophomore album Whiskeytown Crier puts all the sad souls she’s become known for singing and writing about in the same tiny, fictional city. The result is unprecedented: a concept album devoted to women’s experiences in small town, America. An in-demand songwriter, she penned Alan Jackson’s “Monday Morning Church,” Lee Ann Womack’s “Last Call,” and others for Luke Bryan, Randy Travis, Terri Clark, Joey + Rory, and many more, while her two critically acclaimed EP releases and 2017’s Whiskeytown Crier have positioned her as one of county music’s brightest torch bearers.